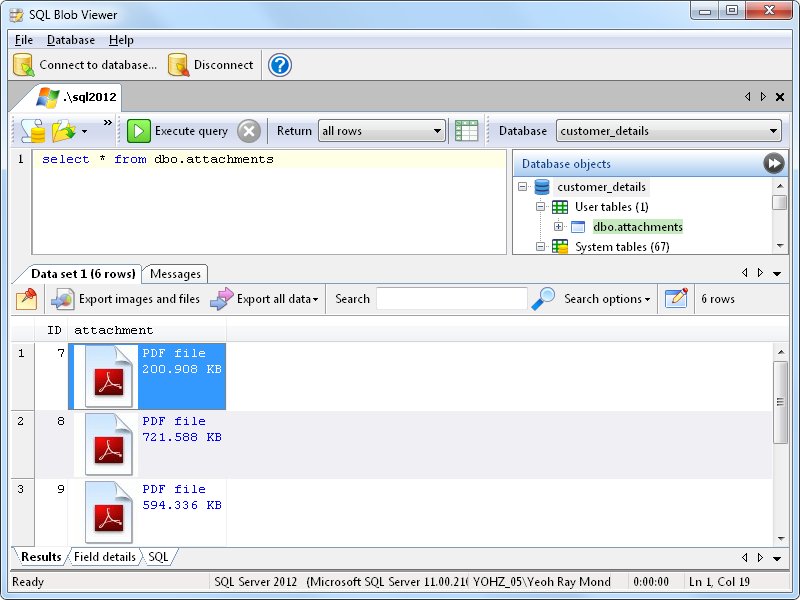 SQL Blob Viewer 4 was released last month, with a bunch of usability improvements. 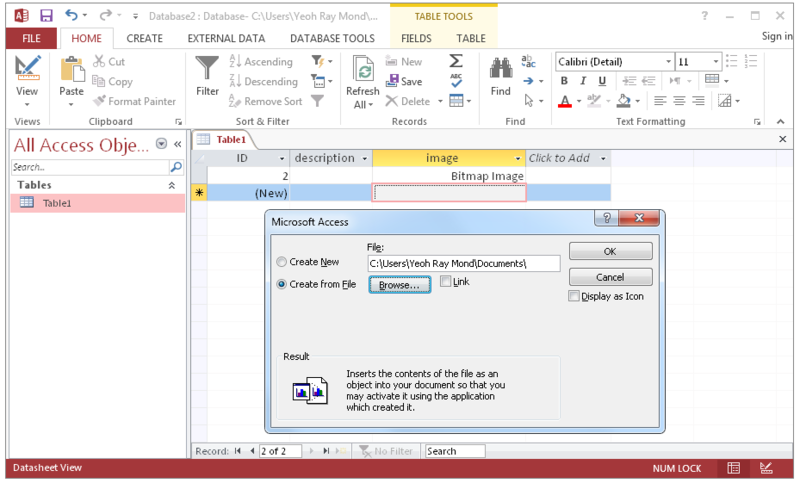 One of it is the ability to send email notifications for the export process. 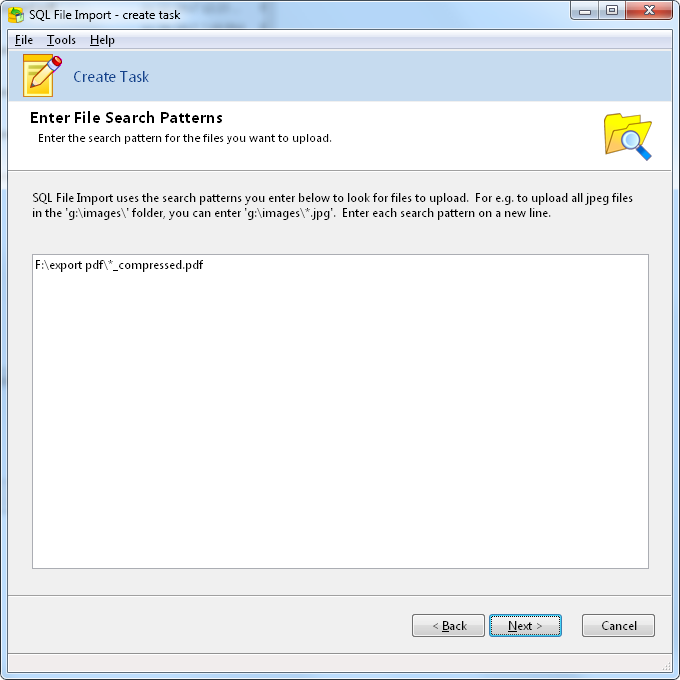 With the Professional Edition, you can schedule export jobs to run using the Windows Task Scheduler. 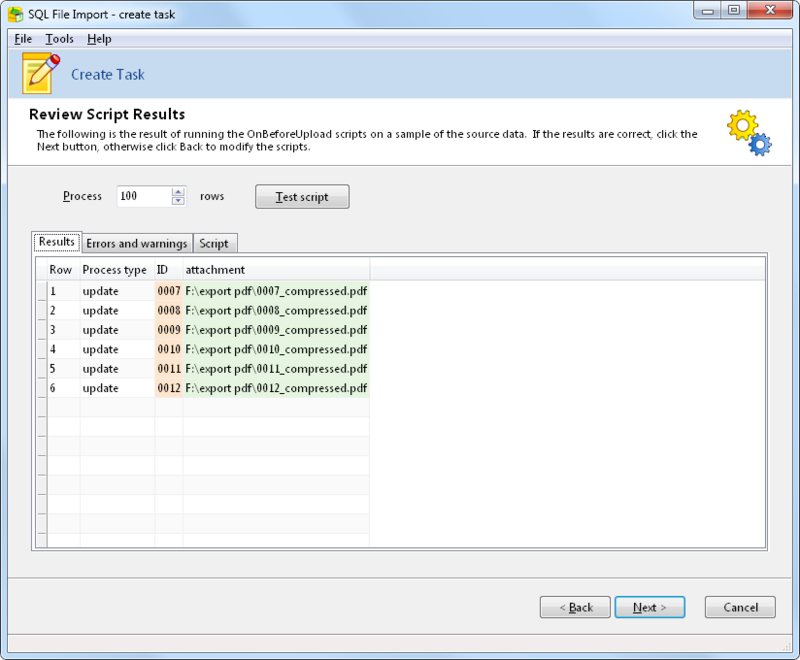 Previously, the job would run, and a log generated of the export process. 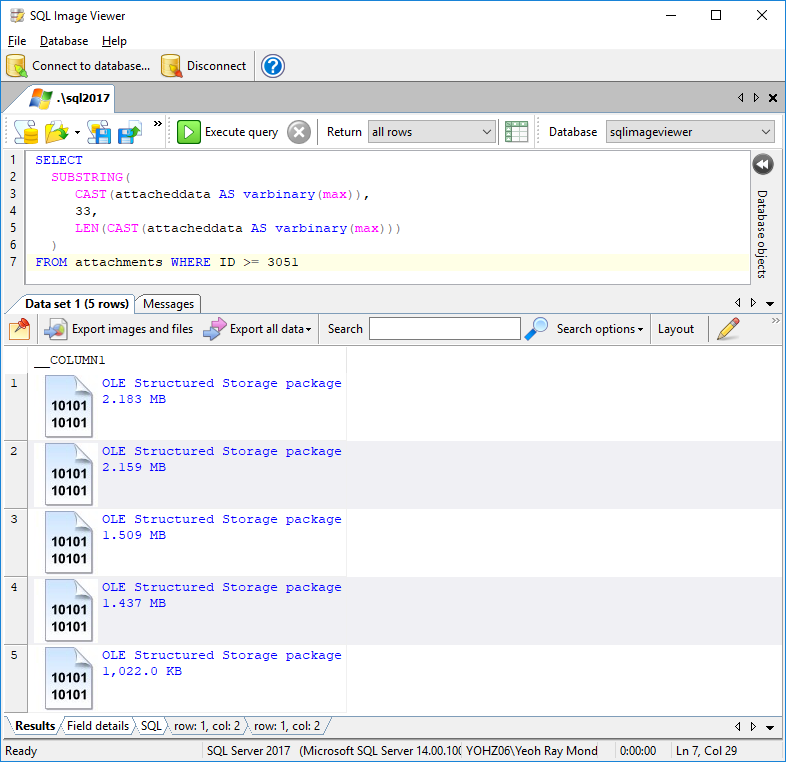 If there were any errors raised, you would only know about it if you inspected the log. 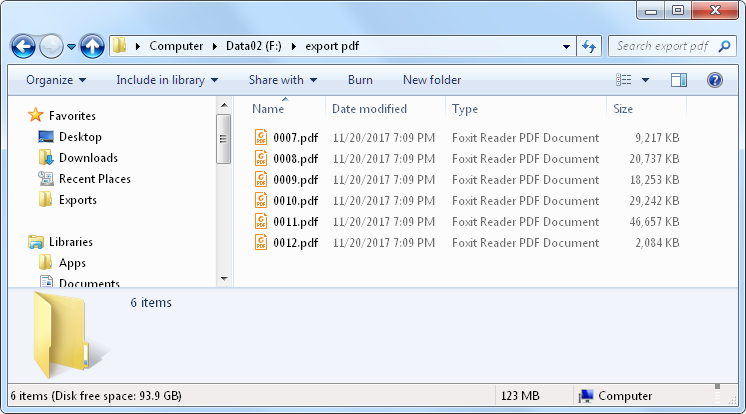 With email notifications, you can now receive a copy of the log via email. 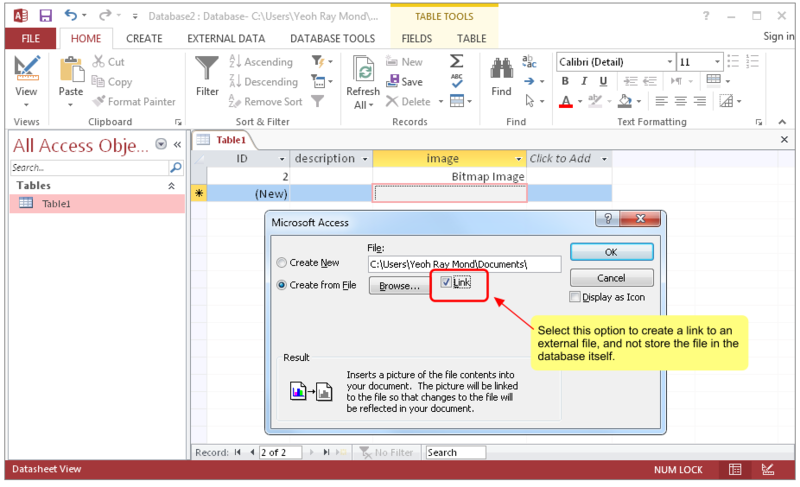 You can also choose to have emails to be sent only when errors are raised. 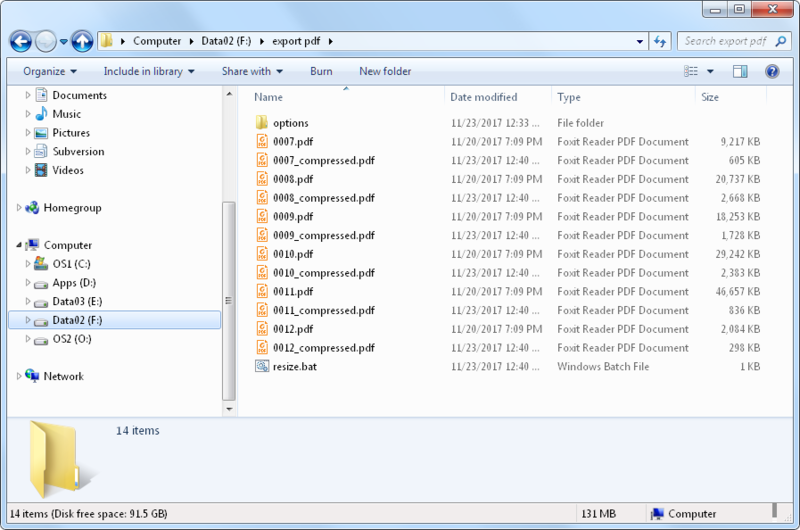 The email options are configured in the Export Wizard. 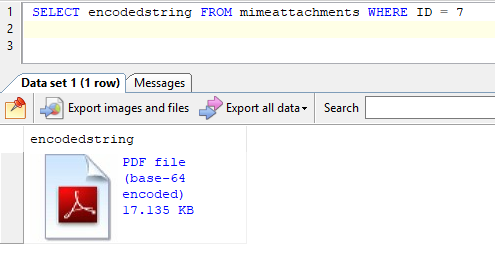 Before email notifications can be sent, you would need to set up your SMTP mail settings first. 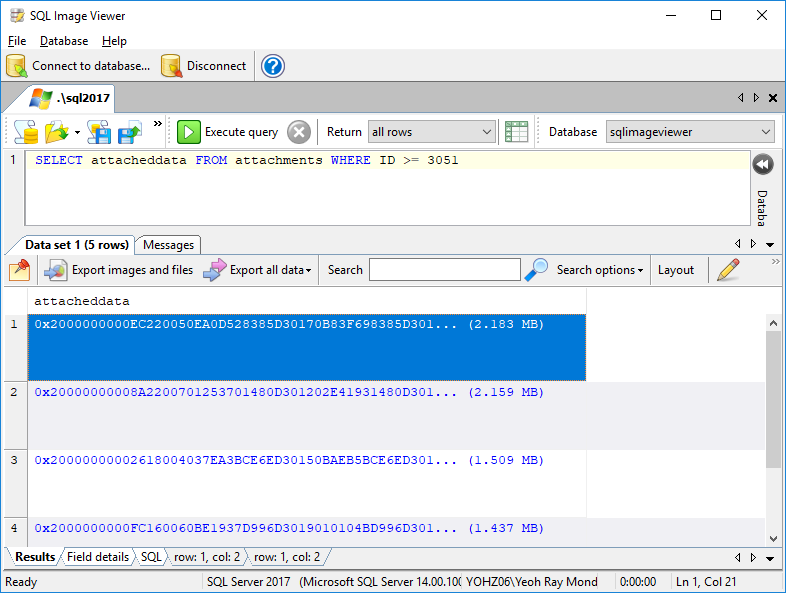 This entry was posted in SQL Blob Viewer, SQL Image Viewer and tagged SQL Blob Viewer on September 6, 2017 by bloggyadmin. 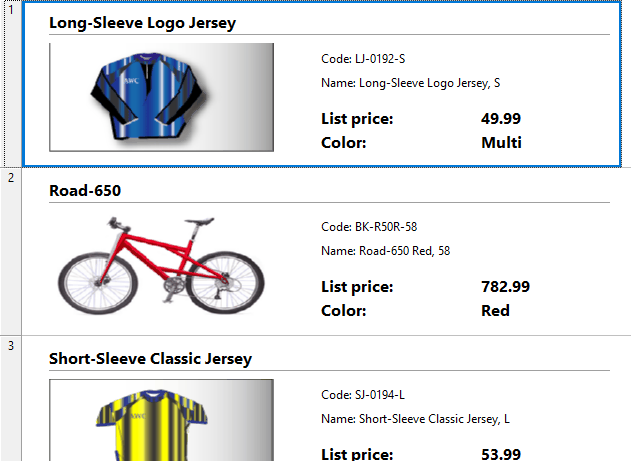 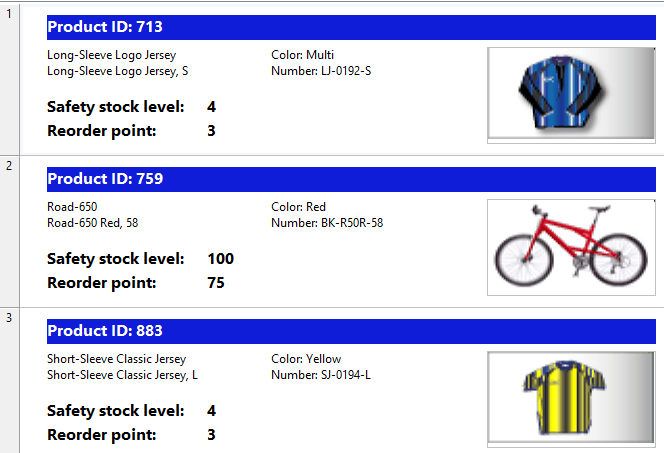 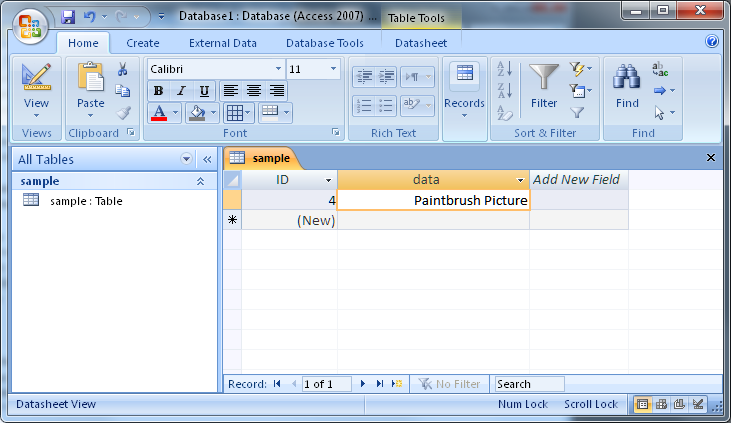 So we have 2 very similar products, SQL Blob Viewer and SQL Image Viewer, and here’s why. 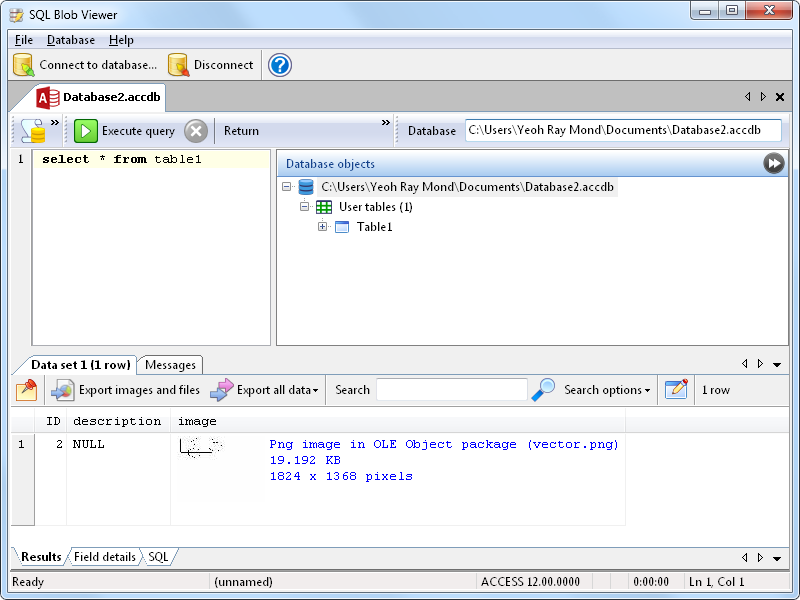 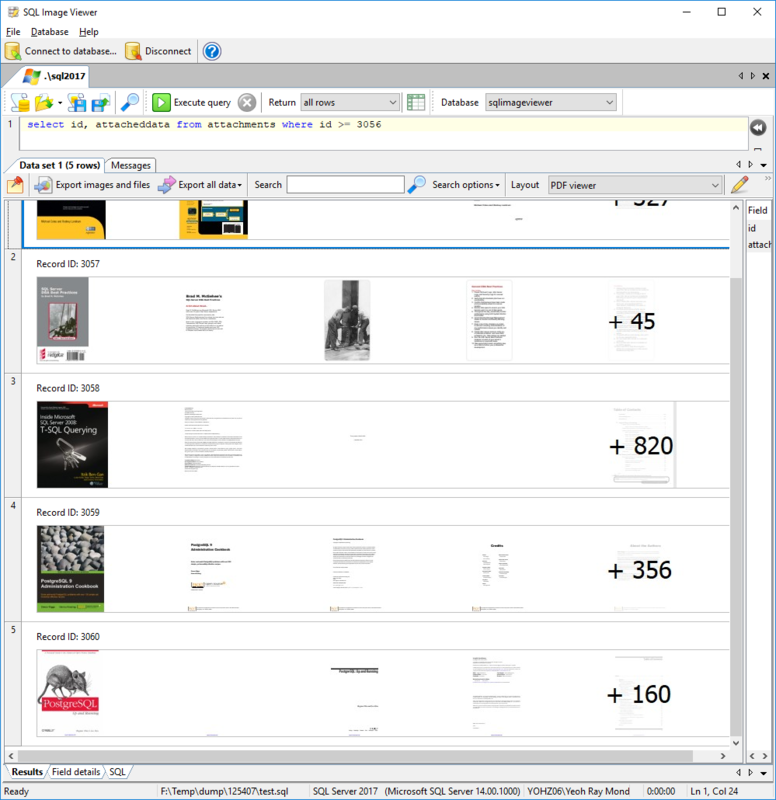 SQL Image Viewer was released 9 years ago, and over the years, it has accumulated a lot of code that is user-specific. 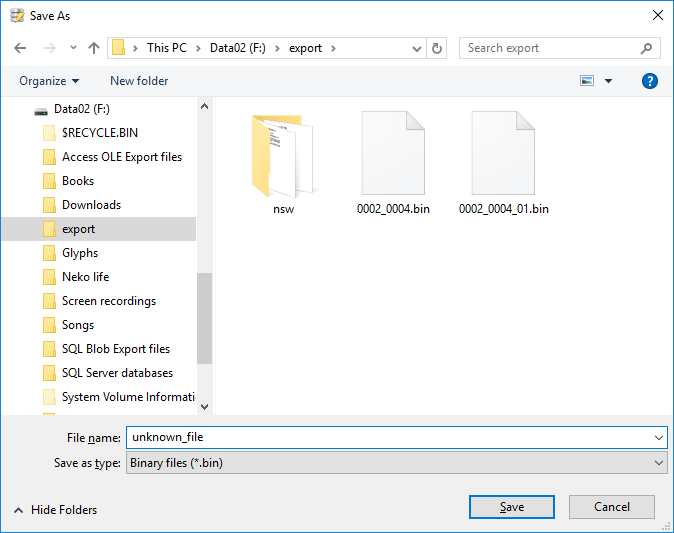 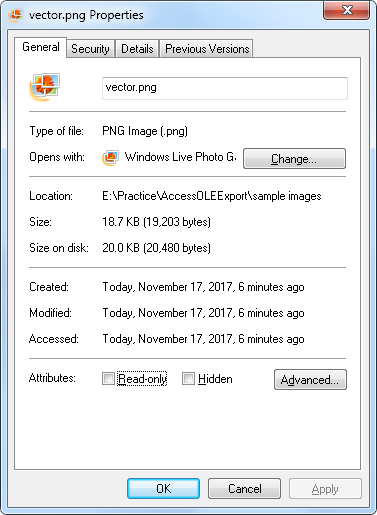 When we made the decision to create a 64-bit version of SQL Image Viewer, we discovered that it would be pointless to port those user-specific functions over too. 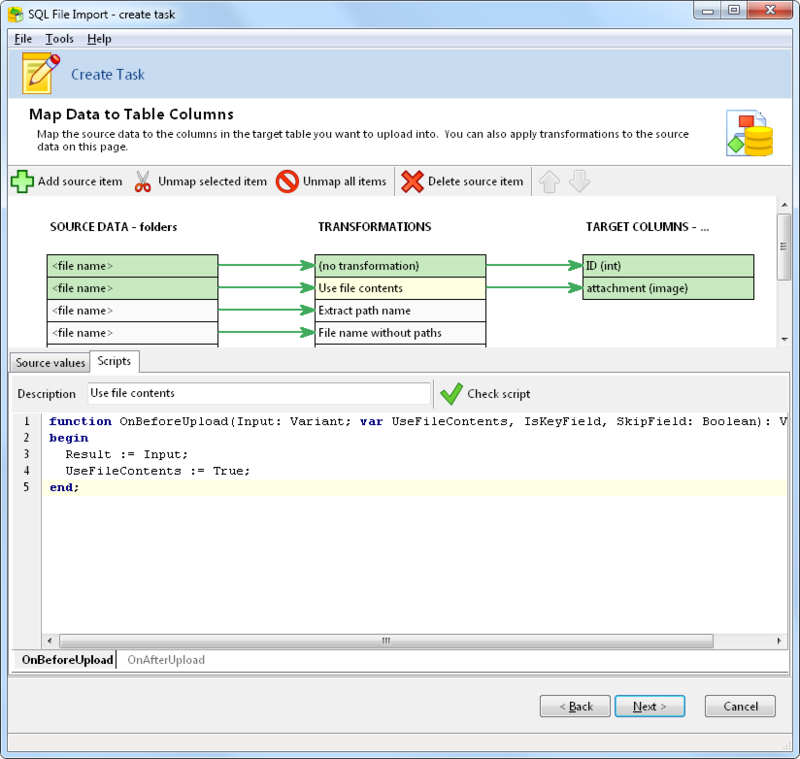 We did not want to leave our existing customers with a new version that did not have those functions, so we renamed the new product SQL Blob Viewer. 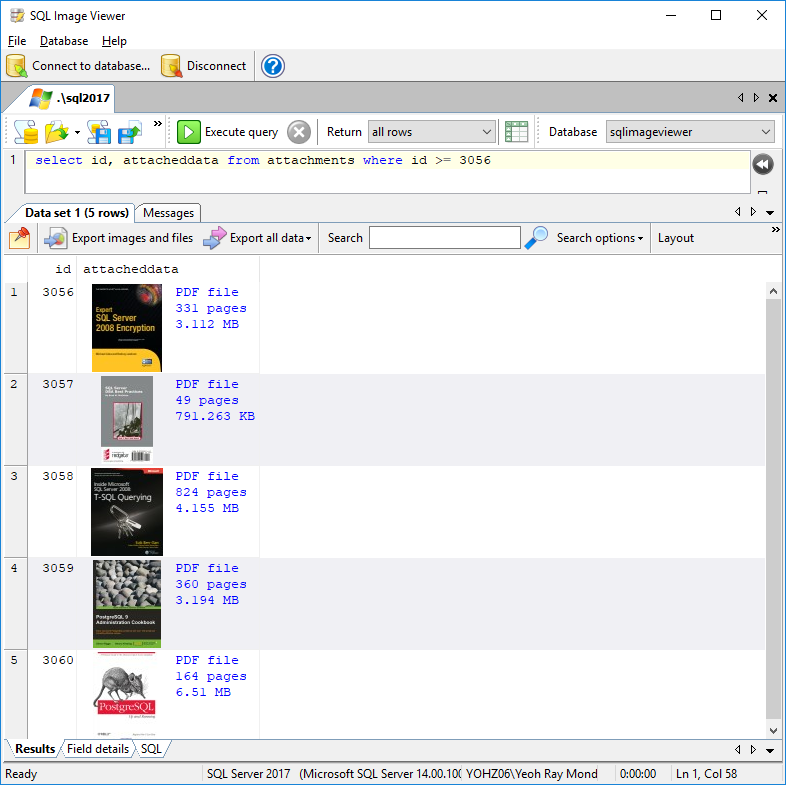 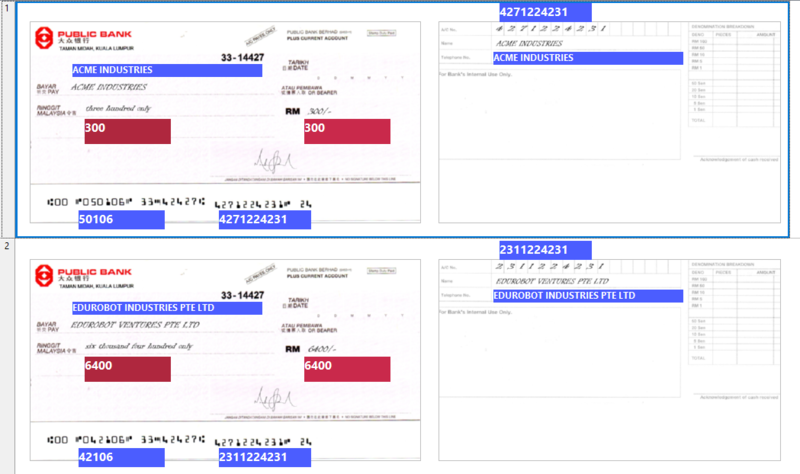 while SQL Image Viewer displays images separate from the textual data (we’re still gathering feedback on whether users prefer the SQL Image Viewer way of displaying images). 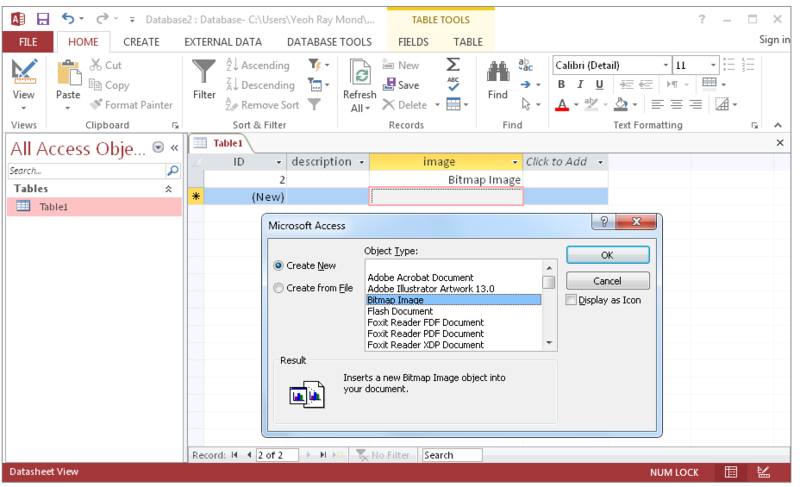 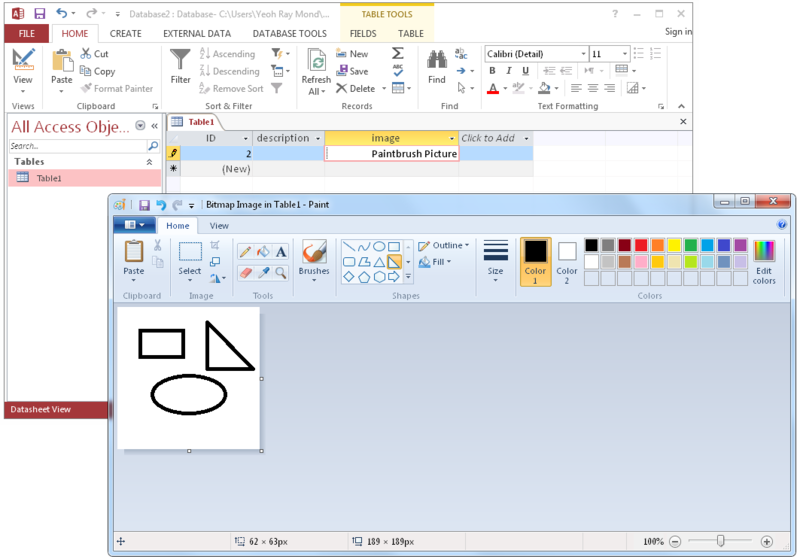 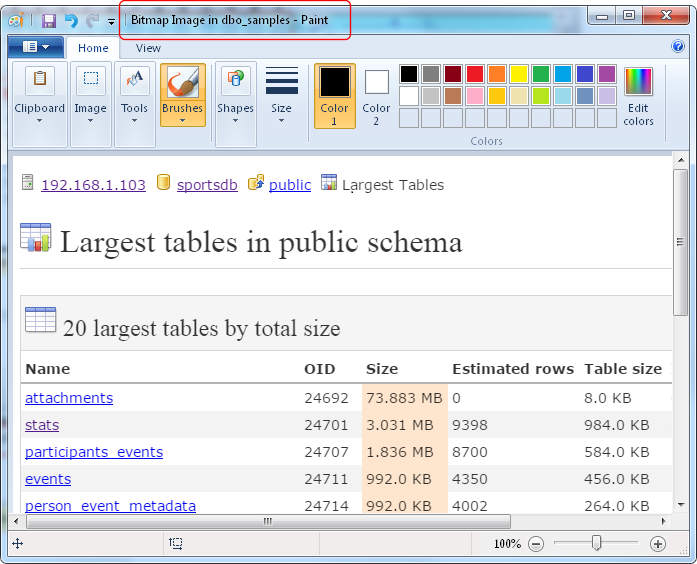 SQL Blob Viewer can also embed images in exported Excel spreadsheets, has a user-friendlier interface to configure incremental exports, supports 64-bit versions of Access, and supports larger data sets with the 64-bit versions. 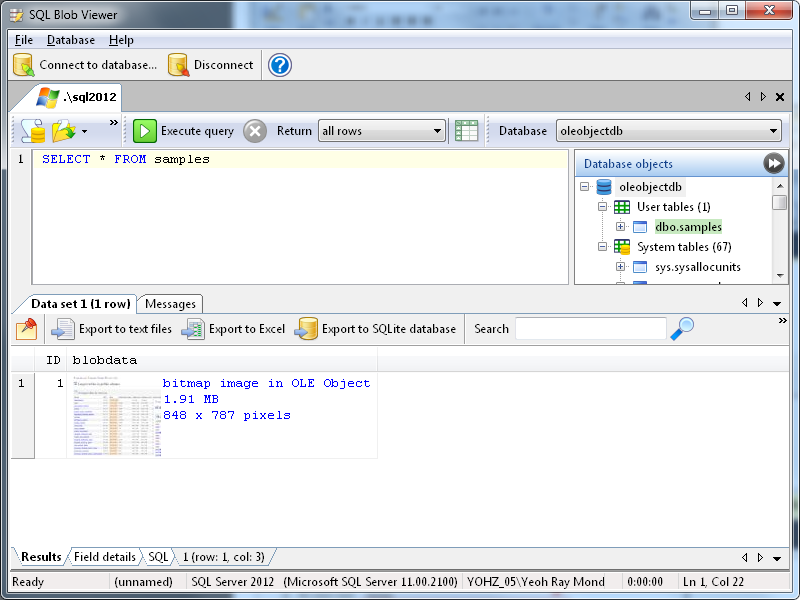 The plan is to improve on SQL Blob Viewer, while SQL Image Viewer will be updated only with bug fixes. 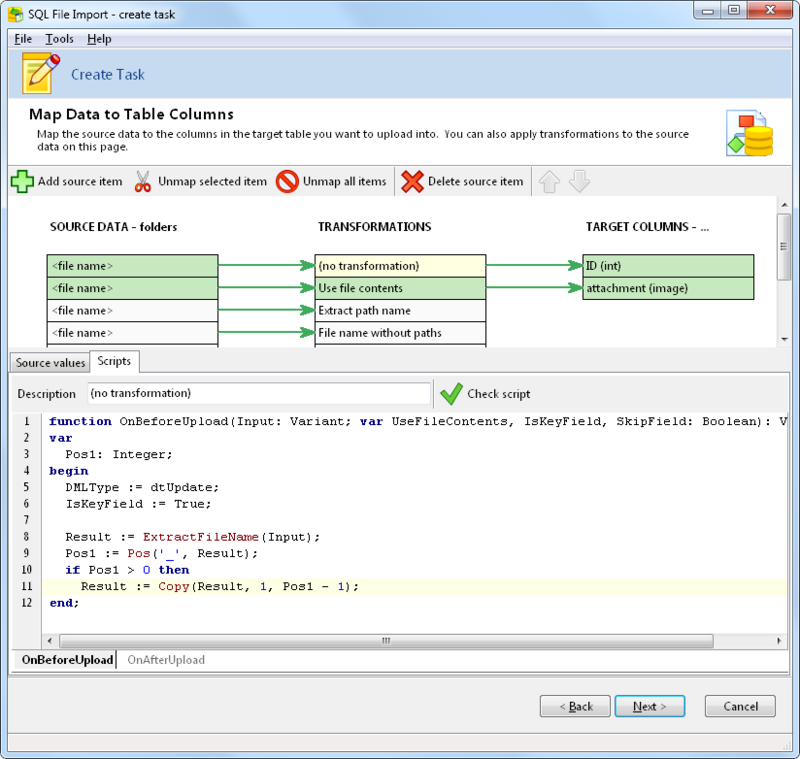 As both products were developed using different tools, it would be too much work to maintain 2 code bases. 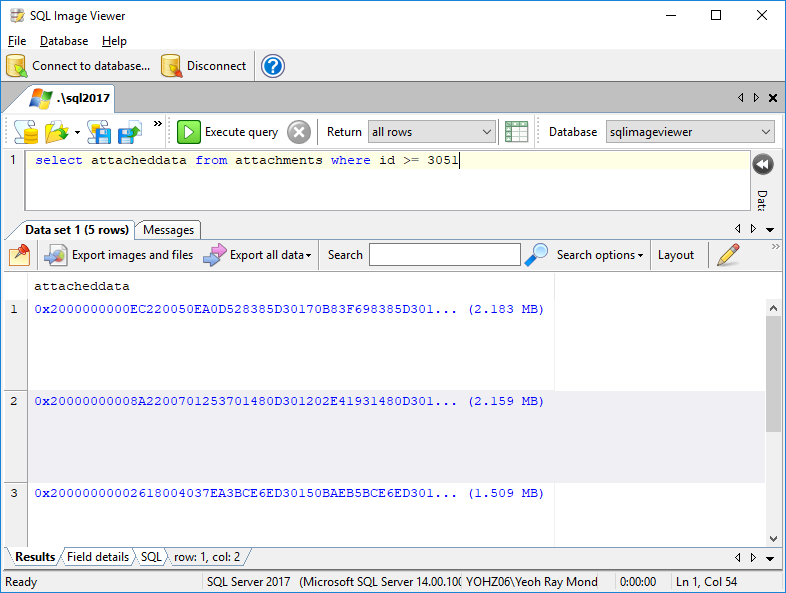 In the near future, probably when we’ve decided if we should support the same views as SQL Image Viewer, we will release SQL Blob Viewer as SQL Image Viewer (new), as the name SQL Image Viewer seems to attract more traffic (I suppose SQL Blob Viewer is just a tad too technical). 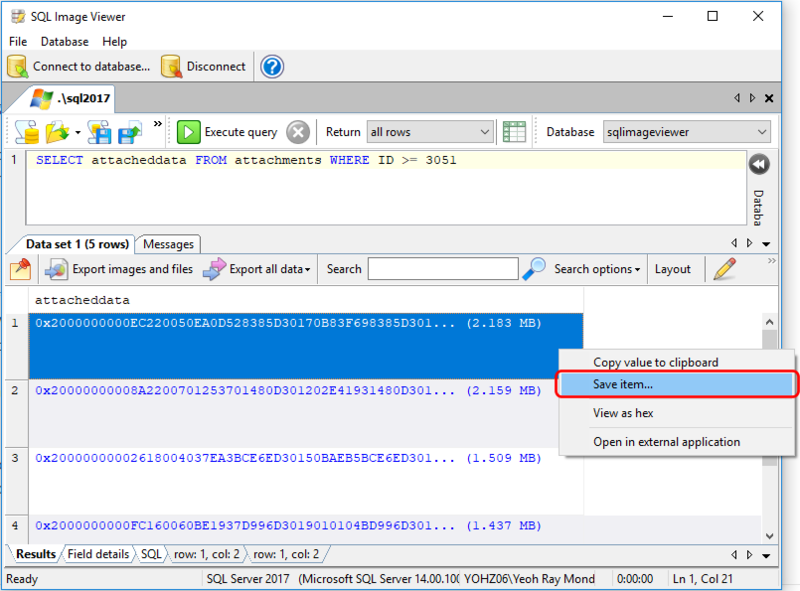 When that happens, you will still be able to install SQL Image Viewer (new) alongside SQL Image Viewer (old), so you can still use both versions concurrently. 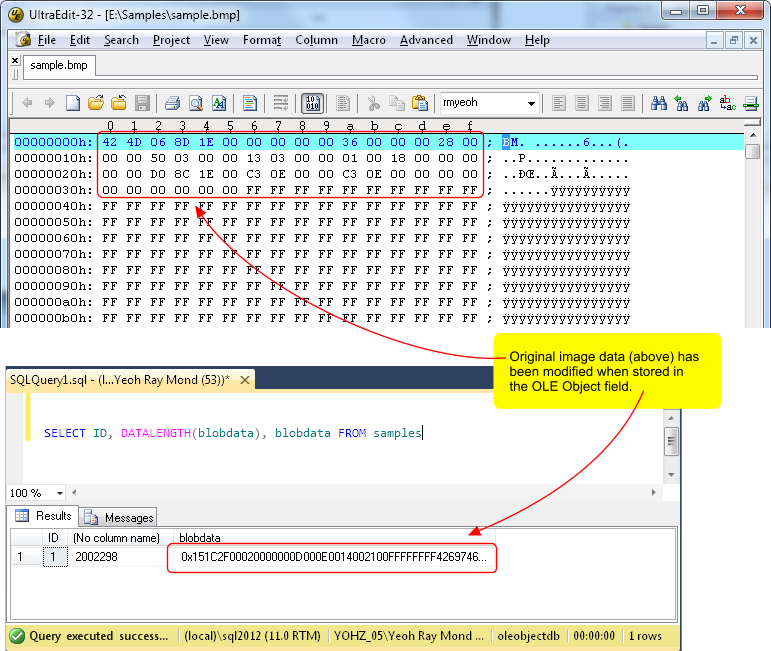 Existing users with valid licenses can request for a SQL Image Viewer (new) license. I would encourage you to give SQL Blob Viewer a try if you have not already done so, and let us know what you think. 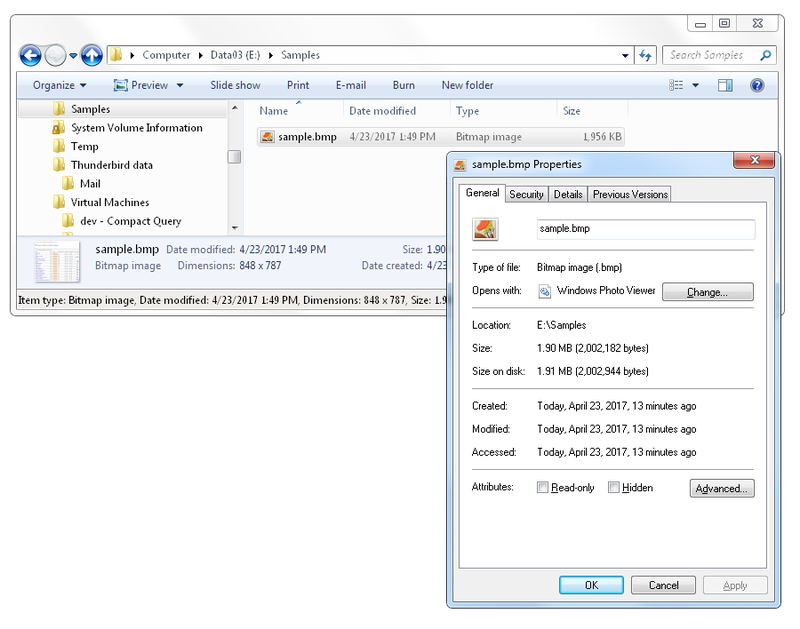 If you’re a SQL Image Viewer user with a valid maintenance license, contact us at sales@yohz.com for a SQL Blob Viewer license. 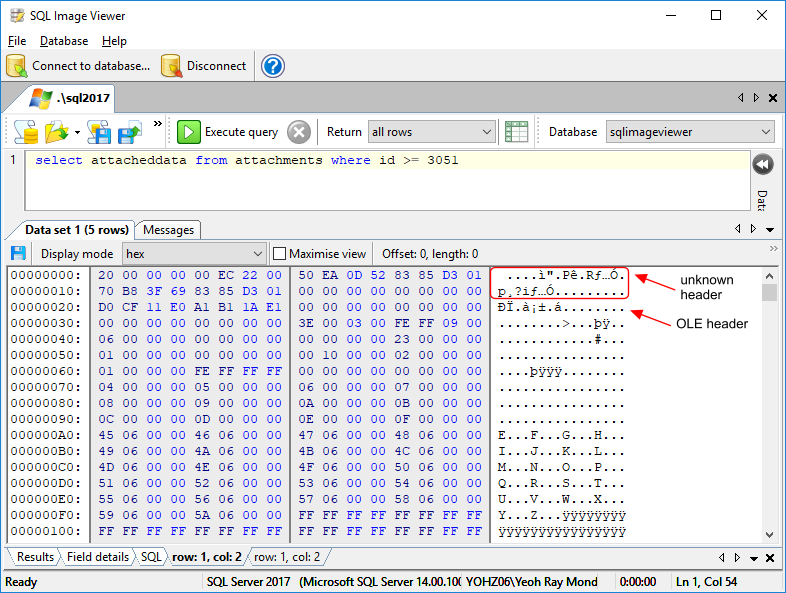 This entry was posted in SQL Blob Viewer, SQL Image Viewer and tagged SQL Blob Viewer, SQL Image Viewer on April 4, 2017 by bloggyadmin.